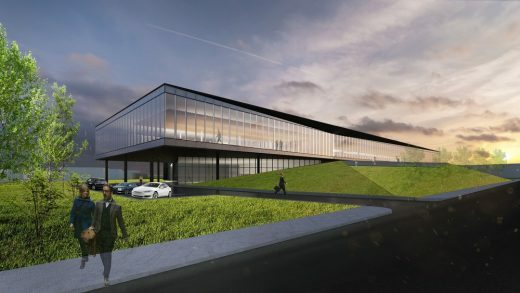 Lemay is proud to join lighting solutions provider Lumenpulse Group and real estate developer Montoni for their latest realization: a brand-new Lumenpulse head office that will combine branding and architecture to embody the history, values and culture of the lighting strategies world leader. 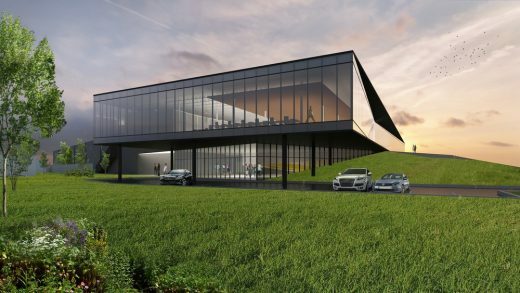 Driven by LemayLAB, Lemay’s creativity incubator, the project will benefit from a spectacular view on the St. Lawrence River as well as a high-quality urban environment for over 600 Lumenpulse employees. This project showcases Lemay’s expertise in architectural branding, which aims to create a unique and personalized built environment by pushing ideas beyond initial expectations. 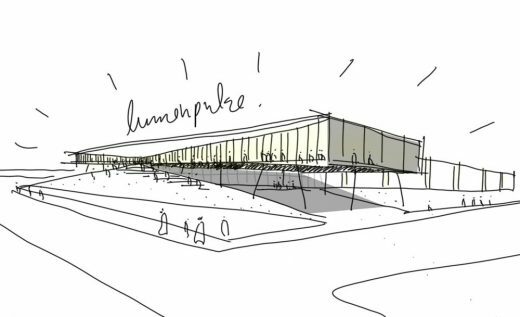 “We used a methodology that allowed our multidisciplinary team to understand and translate Lumenpulse’s mission and values,” said Jean-François Gagnon, associate architect and design director at Lemay. Covering over 14,000 m2, the headquarters’ factory, office spaces and an immersive experience centre will together form a knowledge transfer hub and prime convergence area designed around the theme of a prism. Inspired by the company culture, the architectural approach is based on a commitment to minimize the company’s ecological footprint and bring functions together. The alignment along the river maximizes outdoor views from the offices, while the positioning of the experience centre, in the form of a prism at the heart of the project, completes the volumes’ composition. The result is a strong and daring statement in support of Lumenpulse’s image. Lemay is honoured to contribute to this important era in Lumenpulse history. This spectacular and dynamic architectural gesture positions the company as a major player at the cutting edge of lighting strategies. The Lumenpulse head office project also further cements Lemay’s expertise in architectural branding, which it has established through major projects such as Ubisoft’s Montreal studio, Espace CDPQ, the STM’s Stinson Transport Centre and Artopex showrooms, all concrete examples of the approach’s added value. Combining architecture, branding, interior design, graphic design and urban design, this project aligns perfectly with Lemay’s transdisciplinary approach. 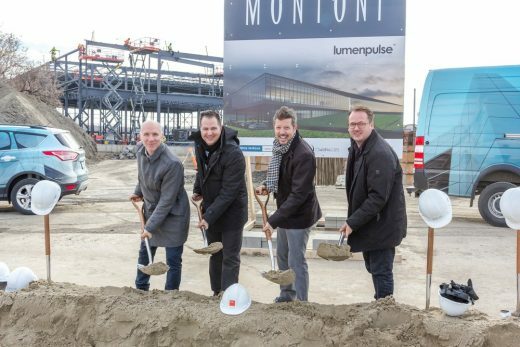 Lumenpulse, Montoni and Lemay launched the construction with a ground-breaking ceremony on November 15 at the Longueuil, Quebec, site across the river from Montreal. The building should be complete by summer of 2017. Landscape architect: Beaupré Associés Experts Conseils Inc. Founded in 1957 as an architectural practice, Lemay is one of Canada’s leading integrated design services firms, merging architecture, urban design, interiors, landscape, engineering, sustainability and branding into a multidisciplinary and synergistic ensemble. 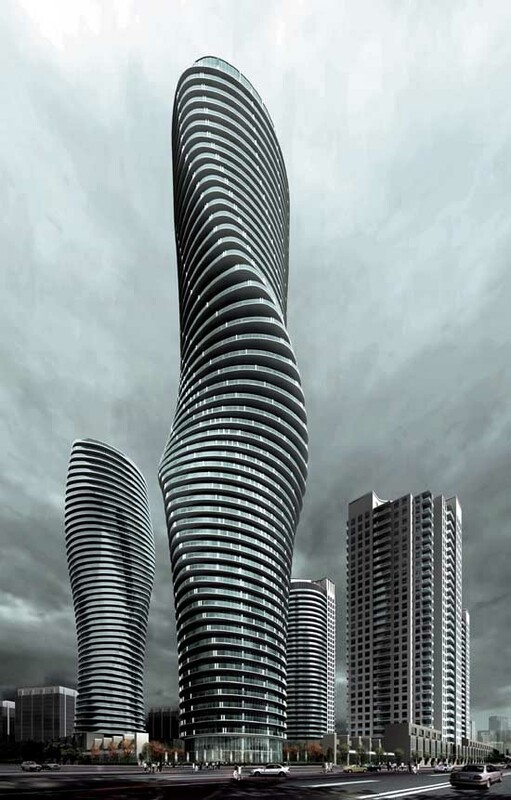 With 10 offices worldwide and ranked 79th according to World Architecture (WA), Lemay is also one of Canada’s most creative and awarded firms, with over 300 awards and prizes. Leveraging its unique blend of creativity, capacity and expertise, Lemay champions its clients’ aspirations, enhances users’ quality of life and strives to build a brighter future for our communities. Founded in 2006, the Lumenpulse Group designs, develops, manufactures and sells a wide range of high-performance and sustainable specification-grade LED lighting solutions for commercial, institutional and urban environments. The Lumenpulse Group is a leading pure-play specification-grade LED lighting solutions provider and has earned many awards and recognitions, including several Product Innovation Awards (PIA), three Next Generation Luminaires Design Awards, two Red Dot Product Design Awards and a Lightfair Innovation Award. The Lumenpulse Group now has 605 employees worldwide, with corporate headquarters in Montreal, Canada, and offices in Vancouver, Quebec City, Boston, Paris, Florence, London and Manchester. Lumenpulse Inc., which is the parent company within the Lumenpulse Group, is listed on the Toronto Stock Exchange under the symbol LMP.